There aren’t many people today who know what kind of carpet they have in their home. They may know the brand name and color, but that is usually the full extent of it. They don’t know the carpet facts. Frieze and Berber are popular carpets that many people enjoy but don’t know much about. We decided to break them down for you. Take a look at the fibers of your carpeting. If it is a cut-pile carpet and the fibers are tightly wound, you have a frieze. Frieze carpet is great at hiding annoying footprint and vacuum marks due to the twist rate. Durability and performance are enhanced when the fibers experience more twists. Most frieze carpets will have between seven to nine twists per inch. The yarn gets its crimped and twisted texture through a heating setting process (similar to getting a perm hairstyle). This heating process aids in the durability of the carpeting. A frieze doesn’t have many drawbacks, making it a great style for rooms that experience a lot of traffic from people and pets. Many homeowners enjoy frieze since it is more affordable than other carpets and lasts for a long time. Our good friend Alan Fletcher, The Carpet Professor, says that frieze is his favorite carpet and recommends it a lot. Durability – Frieze has amazing durability due to its unique construction and appearance. Think of the fibers as a shoe lace. The tighter you tie it, the less likely it will come undone. Trendy – If you’re looking for a casual and fun look, frieze carpet is the way to go. It can be seen in a lot of homes today and is guaranteed to keep you up with fashion trends. Insulation – This carpet style is typically more dense that other carpeting, so it offers a better natural insulation. This can help lower your energy bill, especially during the cold Michigan winters. Hides Dirt and Stains – No matter how much cleaning you do, there will always be that one stain or soiling that gets past your defenses. A darker colored or flecked (multi-toned) frieze will help mask the dirt and stains that make it past you. There are many different options of frieze carpeting that you can explore, so be sure to take a look at everything that is available to you. We had the opportunity to speak with Jon Navarre from DreamWeaver Carpets about their frieze and what makes it great. DreamWeaver carpeting is put through a process which they call the “PureColor Fiber System”. 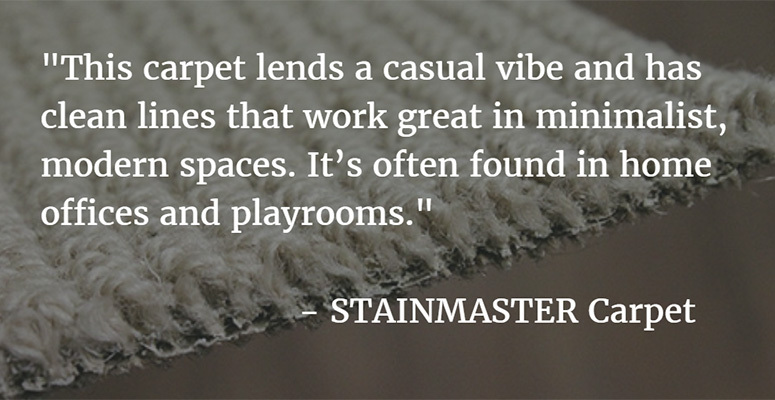 These carpets wear well and come with exceptional stain and soil protection. 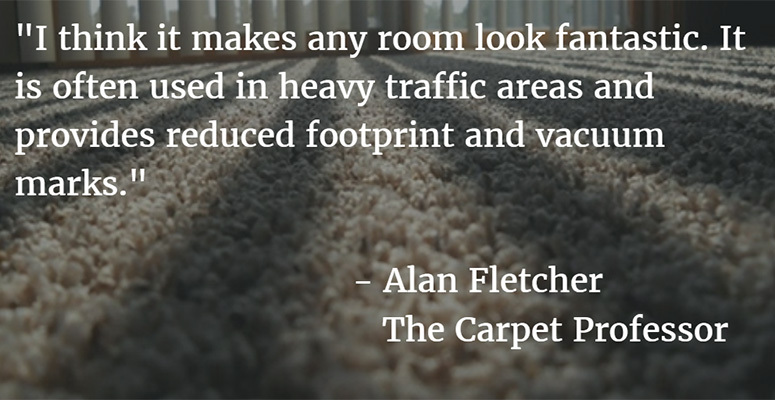 The higher the performance rating, the better the carpeting will withstand heavy foot traffic. The Carpet Guys is proud to carry carpet from DreamWeaver in our stock. 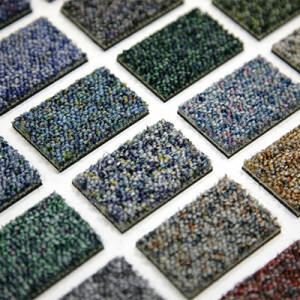 If you want carpeting that will stand the test of an active household, call in and ask to see our sample boards. We will bring them to your home for your free estimate. Berber carpet can be identified by the multi-sized loops that look different than your average cut pile carpeting. The loops are tightly weaved, giving it some great performance advantages you won’t get from other styles. This carpet style is durable and works well in high-traffic areas. It is versatile and can be used in many different rooms of the home. Berber carpet can be a beautiful addition to your home. Like all styles of carpet, however, knowing how to care for it will keep it looking fresh. No matter what carpeting you choose, maintenance is a must to keep your warranty and flooring in check. Comfort – The looped design berber is made out of offers a nice cushiony feel underfoot. You’ll be surprised with how soft it feels. Durability – One of the major selling points of berber is its durability. It works well in rooms that experience a lot of traffic more than most styles will. Keep in mind that it does not work with pets. The loops tend to snag claws, and cats love to pull the loops out. Stain Resistance – Berber carpeting doesn’t absorb spills, giving you the chance to clean them up. Never wipe or rub a spill on carpeting. Always blot it up. Versatility – Since berber can come in flecked color schemes, it can adapt to many home styles and decor. It’s known for its pleasing aesthetics and always will be. Like frieze, berber also comes in a wide selection to choose from. Be sure to look at all the options berber has to offer your home. Berber has weaved its way into many homes today, especially households with heavy traffic and kids. Plus, the lower costs appeal to many consumers. Looped and flecked berber carpet has been growing in popularity, so rest assured knowing you’re getting carpet that will stand out above the rest. Make the flooring of choice for your next home improvement project. Get the Carpet you want Today! Interested in frieze or berber carpet? We have what you need! Book a free carpet estimate with The Carpet Guys to get your new floors installed today. We guarantee your installation will satisfy you for years to come. Don’t feel like waiting for your install? Ask if next-day carpet installation can be applied to your order. You’ll have new carpet in your home before you know it. Still have questions about carpet installation, colors, fibers, padding? 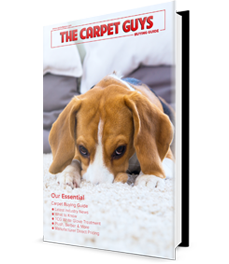 Get a free copy of our carpet buying guide today and we will walk you through the entire process, start to finish. **Next Day Installation on in-stock flooring only. †Special financing subject to credit approval. Not all applicants will qualify. Minimum purchase required. Minimum monthly payments required. Schedule an in-home Flooring estimate!